We know, we know. It was hard just to find the orange one. 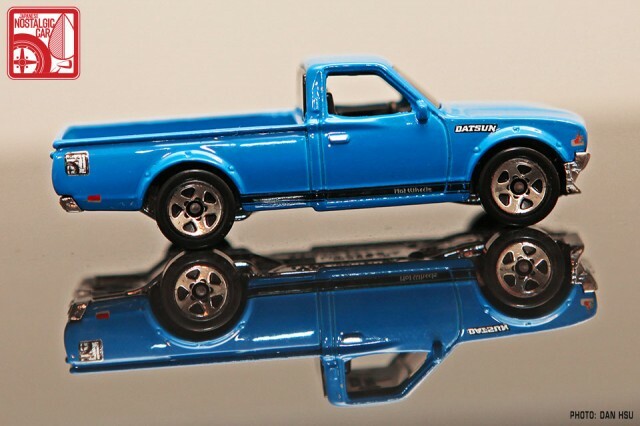 But we absolutely love Mattel’s casting of the Datsun 620 so we are happy to report that not only is there a second version on its way, but it’s sporting the JNC inkan as well. Of course, it had to be blue. It’s the perfect complement to the orange version release earlier this year, but it’s not just a recolor. There are subtle differences in the graphic scheme. The JNC inkan, for example, has a silver background where as on the orange one the body color showed through. Also, the “Hot Wheels” on the rocker panel stripe is in silver, whereas the orange version’s was created out of the negative space in the black stripe. Last but not lest, the lettering across the tailgate is in white instead of black. Though these differences are minor, the three color treatment gives the model an overall feeling of quality rarely found on a $1 toy. 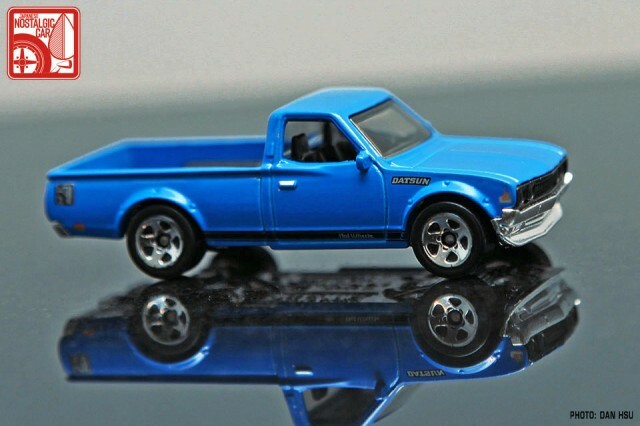 Once again, our most heartfelt thanks go out to the Hot Wheels team and especially designer Jun Imai, creator of other miniature nostalgics including the AE86 Corolla, Datsun 510 and 510 wagon, hakosuka and kenmeri Skylines, Mazda RX-7, Mad Manga, Subaru BRAT, 1970 Toyota Celica the Toyota 2000GT. It would’ve been easy just to change the body color, but the Hot Wheels team did an amazing job with this one. Normally it takes a couple of months from when we get our factory samples to when it hits the shelves, but this time the car was leaked on eBay so perhaps the timetable is moving up. Keep your eyes peeled. 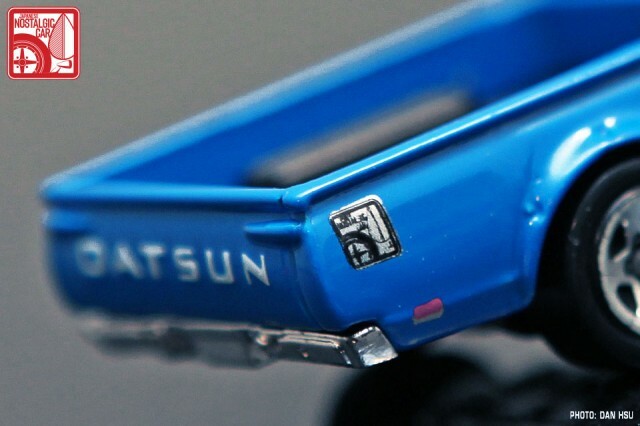 tagged: 620, datsun, hot wheels, minicars. Now if only Nissan will make a full scale version! Awesome, I’ll get one for my bench yet. great, now I have to look for this one. I still can’t find the civic EF anywhere…..
Several in my Walmart. Could get one for you if you really want it! Thanks for the offer guys, problem is my location. Im here in the Philippines, so having the cars shipped over here wouldn’t be that “cost effective”. Tell you what, if ever the civic is never released here I’ll take you up on your offers. The JapNostalia logo looks a lot better with the white background. You can also see the front and rear side marker lights better. Cool recolor! be nice if i could find one not in a 10 pack. none of the stores near me seem to like to re stock, and then you get the collectors that buy every single one. Miss the days when stores like toys r us had limits on how many you could buy at a time. Forgot how great these trucks were, when new. Mind blowing to think that the Datsun showroom in 1973 had these, the 510, the 1200, and the 240Z, all at the same time. The only one that was not world class was the 610, and it wasn’t a bad car. 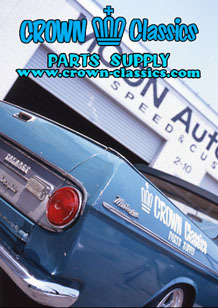 Has any car manufacturer ever had such a wide variety of all time classics, all in the same year? 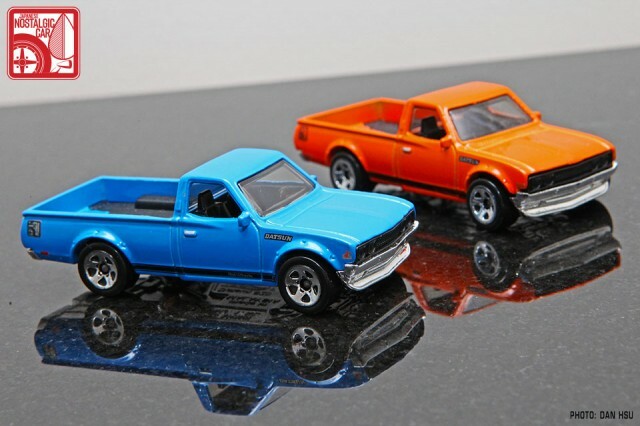 I’ll take the truck in this blue, a 510 2-door in orange, a 1200 fastback in red, and the Z in metallic blue, please. Thank you very much.